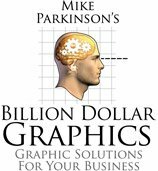 Billion Dollar Graphics: What packages do I want a graphics person to be expert in if I'm going to bring him/her on board either as a permanent hire or as a consultant? What packages do I want a graphics person to be expert in if I'm going to bring him/her on board either as a permanent hire or as a consultant? They should have a working knowledge of Adobe Photoshop and Adobe Illustrator for image and graphic generation and Adobe InDesign or QuarkXpress for page layout of brochures and corporate collateral. If they are familiar with Microsoft Word for written proposals and business documents, then that is a bonus. Of course, it depends upon your companies’ software collection and need. If your organization has invested in CorelDraw, then CorelDraw is the software a new designer should know. If your company needs 3D graphics, then the designer should have a working knowledge of 3D design applications. It is important to note that if a designer has been trained and uses Adobe products, their learning curve on CorelDraw is much lower.